Today’s special is a West Virginian Italian! 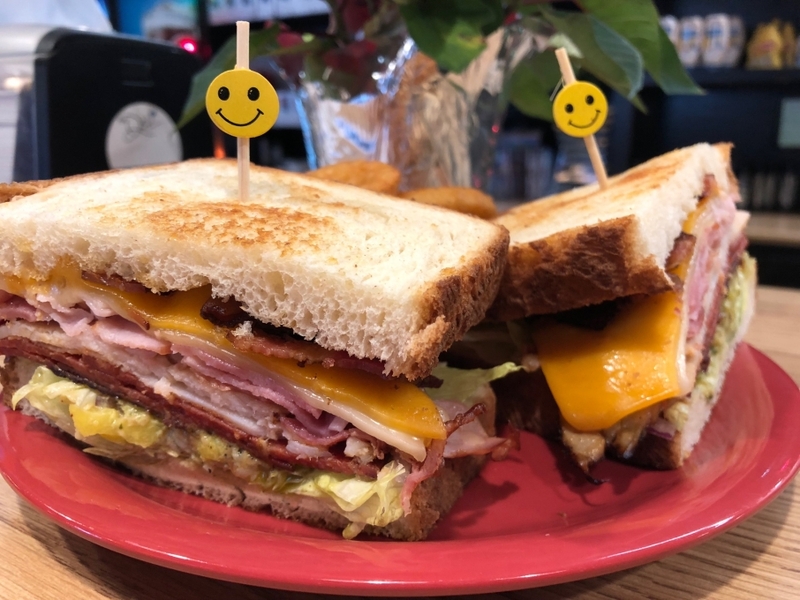 We have a combined half-pound of turkey, pepperoni, and applewood-smoked ham & bacon, topped with Swiss & Cheddar cheeses, lettuce, tomato, onions, and banana peppers, with a roasted garlic pesto mayo served on toasted sourdough bread with a side of onion rings for $9.50! This week’s Weekly Feature will be a Roasted Garlic & Spinach Grilled Chicken! We have grilled chicken strips with applewood-smoked bacon, spinach, and a roasted garlic-mushroom cream sauce, served on toasted brioche with a side of french fries for $9.00! We are just one week away from our annual Fleece Navidad Blanket Party!